The following site has some great photographs. I stumbled into it when looking for Gen. Janin data. The title is America's Secret War. How the heck did I miss that?! The Americans definitely fought for the Whites. However, i'm not surprised that you never heard of this aspect of American military involvement because it was not popular. Even today most people still know nothing of it, and i'm not sure why it is not spoken of in classes more often. 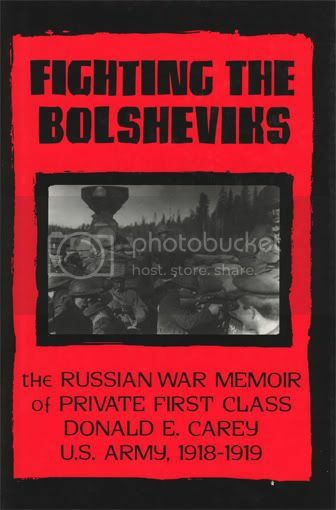 'Americans fought Bolsheviks in Russia'. Don't know how to start another thread if it's needed. 'Americans fought for Bolsheviks and the RR'? But, i'm wondering how many Americans are there known whom fought for and alongside the Bolsheviks in Russia? How many Americans joined and fought alongside other revolutionary groups in Russia? How much I wonder was sent out of America, to support the needs of the revolution, and finally the Soviet Government from Americans here at home from Americans? There are many people digging through all kinds of records, document, etc. as we write. Books are being formed but a lot will be lost because here are not enough people interested. I'm not sure who the "RR" is. PS To start your own topic, click on Russian Revolution. Near the top line where you see the numbers for pages 1,2,3 on the left and on the right you see "Start New Topic", click on it, incert the title, write out a message, post, and you have your own thread. Thank you so very much. Your the first person who was kind enough to 'clue' me on on how to post. Think I have the hang of it, lol. It worked ! Yes, I'm sure that there is still more than enough to write about the russian revolution, people, issues, etc. Glad to find that there is even a place as this to voice a question, and gain feedback. Don't think there is anything like this on all of the internet. It's a great place, and certainly keeps me occupied, and my mind off my 24/7 pain. Let me repeat the number of American soldiers who fought the Bolsheviks. There were 5,600 known soldiers. The Preface of this books gves us seven reasons why Pres. Wilson ordered American troops to Russia and Siberia from p. x to xii. 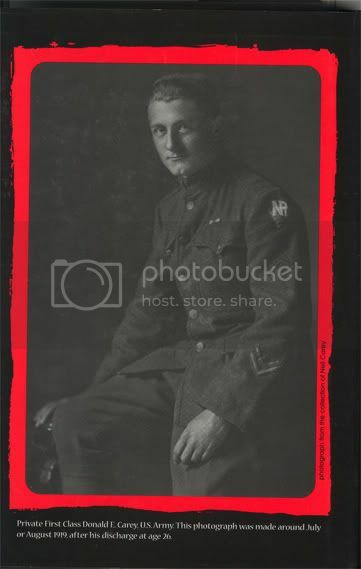 In my efforts to find more information on the American US Soldiers in Russia who fought the Bolshviks, I went to Google, clicked on "images" and wrote in these words "339th Infantry Russia". Up poped dozens of images. Take a look. Meanwhile, I see what I can post here. Colonel George Stewart, U.S.A. commanding officer of the 339th Infantry. I did find one on Wilds P. Richardson who relieved Stewart in April of 1919. I'll post Richardson photograph when I find the time. + Canada. Canadian Army. Field Artillery Brigade, 16th. + Canada. Canadian Army. Field Artillery Brigade, 16th. Battery, 67th. + Canada. Canadian Army. Field Artillery Brigade, 16th. Battery, 68th. + Canada. Canadian Army. Field Artillery Brigade, 16th. Headquarters. + United States. Army. Ambulance Company, 337th. + United States. Army. Engineer Regiment, 310th. + United States. Army. Engineer Regiment, 310th. Battalion, 1st. + United States. Army. Engineer Regiment, 310th. Company A. + United States. Army. Engineer Regiment, 310th. Company B. + United States. Army. Engineer Regiment, 310th. Company C.
+ United States. Army. Engineer Regiment, 310th. Company D.
+ United States. Army. Engineer Regiment, 310th. Company E.
+ United States. Army. Engineer Regiment, 310th. Company F.
+ United States. Army. Engineer Regiment, 310th. Headquarters. + United States. Army. Engineer Regiment, 310th. Medical Corps. + United States. Army. Engineer Regiment, 310th. Medical Detachment. + United States. Army. Engineer Regiment, 310th. Supply. + United States. Army. Engineer Regiment, 310th. Train. + United States. Army. Field Hospital Company, 337th. + United States. Army. Infantry, 339th. + United States. Army. Infantry, 339th. Battalion, 1st. + United States. Army. Infantry, 339th. Battalion, 2nd. + United States. Army. Infantry, 339th. Company A. + United States. Army. Infantry, 339th. Company B. + United States. Army. Infantry, 339th. Company C.
+ United States. Army. Infantry, 339th. Company D.
+ United States. Army. Infantry, 339th. Company E.
+ United States. Army. Infantry, 339th. Company F.
+ United States. Army. Infantry, 339th. Company G.
+ United States. Army. Infantry, 339th. Company H.
+ United States. Army. Infantry, 339th. Company I. + United States. Army. Infantry, 339th. Company K.
+ United States. Army. Infantry, 339th. Company L.
+ United States. Army. Infantry, 339th. Company M.
+ United States. Army. Infantry, 339th. Headquarters Company. + United States. Army. Infantry, 339th. Medical Detachment. + United States. Army. Infantry, 339th. Supply Company. + United States. Army. Infantry, 339th. Supply. + United States. Army. Infantry. Machine Gun Company. + United States. Army. Michigan Infantry Regiment, 1st (1861-1865). Company B. + United States. Army. Signal Corps. + United States. Army. Transportation Corps, 167th. + United States. Army. Transportation Corps, 168th. 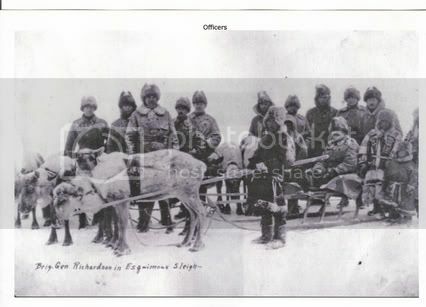 with other links to other personal stories of the Polar Bear Exp. On this site you will find the following photo of Brig. Gen. W. Richardson who took over the command of Stewart in April of 1919 with the 310th Engineers.... He's in the sleigh. 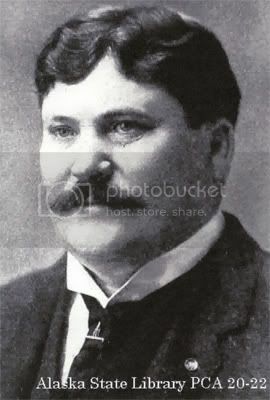 Richardson's photo was found in the Alaska State Library collection.